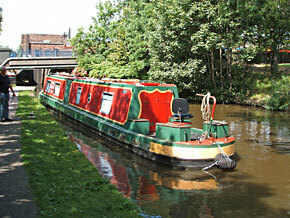 Nice one; PaperClipGuy is trying to trade up from a paperclip to a live-aboard canal narrowboat (about £60k+ for something decent, and add £10k for first-year expenses). So far, he’s on trade No.9 and has just swopped a speedboat for a Porsche. It’d be cool if Gordon Brown’s proposed “classroom lessons in economics” could include a real-world trading project like this. Breed a few school rabbits, sell the babies, and then work upwards until the kids can buy a dedicated school ice-cream van.